John Zehmer is resident in the Ponte Vedra Beach office and works in the areas of corporate and business law, mergers and acquisitions, taxation, real estate, estate planning and probate. Mr. Zehmer also works on cross-border transactions and international investment. 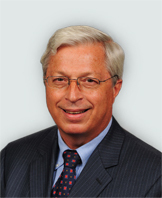 He has practiced in the Jacksonville area since 1985, and is rated “AV” by Martindale-Hubbell Law Directory.